Since its introduction back in March for Air Max Day, Nike’s influential Air Max 270 silhouette has been dressed in just about every popular Swoosh Brand aesthetic we’ve seen this year. There was the head-turning “Just Do It” pack, there has been both a Triple Black and a Triple White variety, and now the 270 is ready to join the overbranded movement. 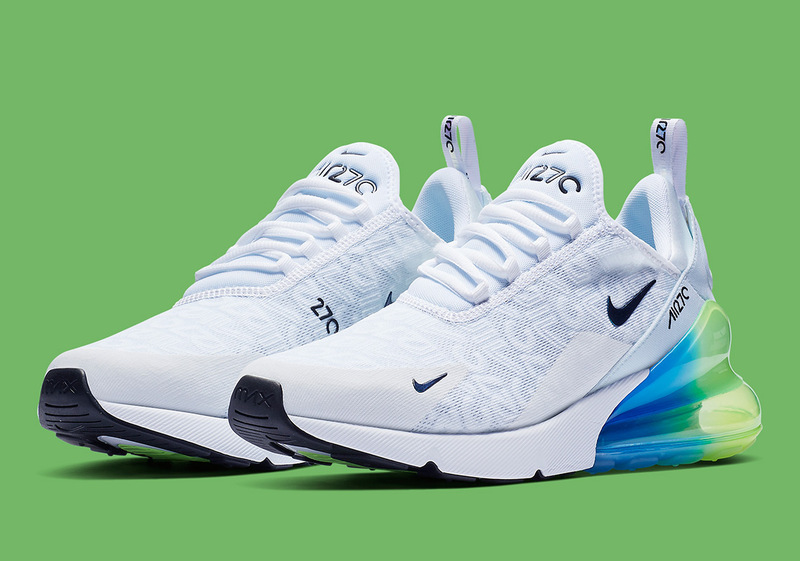 Done up primarily in an angelic white, this creation’s focal point comes by way of debossed “AIR270” hits scattered all throughout its clean upper. In an effort to add touches of color, its lifestyle-engineered Air unit sports a two-toned Explosion Green and bold blue motif to match its swathes of Beaverton branding. With no official release date having been reported just yet, grab an official look below and anticipate its Nike.com arrival in the coming weeks.